UPDATE: Turns out that's just the codename for the Samsung ATIV S neo. Oops! It looks like Samsung accidentally leaked the name of a smartphone it is currently working on. 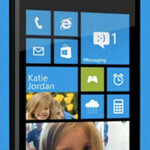 The handset in question is called the Cronus and it is a Windows Phone 8 model of unknown tier. How did this happen? Well, someone noticed a reference to the Cronus smartphone in a description of a Windows Phone app called Mobile Care. The app, published by Samsung itself, is used to collect "the log/minidump files and uploads to Samsung MobileCare server which is normally used in User Trial". The data collected is used for statistical purposes and product quality improvement. According to the description, Mobile Care should work on the Cronus smartphone, which is under development. Launched devices, such as the Samsung ATIV S and the Samsung ATIV Odyssey, can use the application as well once they receive the GDR2 software update. Interestingly, this isn't the first time we hear about a Samsung handset given the same moniker. Back in May, someone wrote about a Samsung Chronus on Reddit, with hints indicating that it could be a smartphone or a notebook computer with an aluminum frame. Further details about the Samsung Cronus, such as specs and launch date, remain a mystery. Whether Cronus is a codename, or the smartphone's official market name isn't known either. Keep focusing on your Galaxy, Samsung! Leave the WP8 smartphones to Nokia. You mean cheap glossy plastic phones? The only thing that's cheap about the GS4 (and almost every other Samsung phone for the past 2 years) is the glossy finish and the flimsy battery cover. I am perfectly fine with plastic, as long as it has a matte finish and has a unibody design, both of which the GS4 lacks. The GS3 and GS4 are great in many categories, but design is not one of them. and this is the reason why I prefer HTC and Nokia over Samsung.. HTC has much better quality and their hardware isn't bad.. No Timely updates is their only problem. HUH?? I dont get it Samesung is using cheap plastics unlike nokia they are using other kind of plastic. Man it's anything but cheaply made.. You need to take the fanboy goggles off for a minute. Most android phones feel like cheap toys compared to most Nokia phones. Personal preference, I hate phones that are air light.. That's what I consider cheap feeling. Sadly yes. I have both Galaxy S4 and Lumia 920. While the S4 has all the features and apps that I want, but the Lumia920 hardware feels much more premium. I'm still trying to find a good case for the S4 while the Lumia920 looks better naked. Oh ya the whole world is just stupid to buy Samsung gimmicks right?. Yup ! That's exactly what they'll do. Take advice from teenage trolls on the internet rather then believing their vast & experienced experts ! Yeah...."teenage trolls on the internet".... yeah I know what you're talking about. I mean Seriously ?! that's call you have to say...jeeeez.... ...even teenage is being too respectful too u. Your comments are even younger than a teenager ! Uh...you misunderstood my comment bro, and you don't even know what you're talking about, aren't ya? Are you talking to yourself? Tech2 was your old account that was blocked I guess. Actually, tech3 was my old account and it was blocked.